Click Add Employee from the top right side of the Staff tab and it will bring a form. At the bottom of the form, there is an option 'Import .csv/.xlsx File'. Here is an example, the column order can be any but the fields must match. 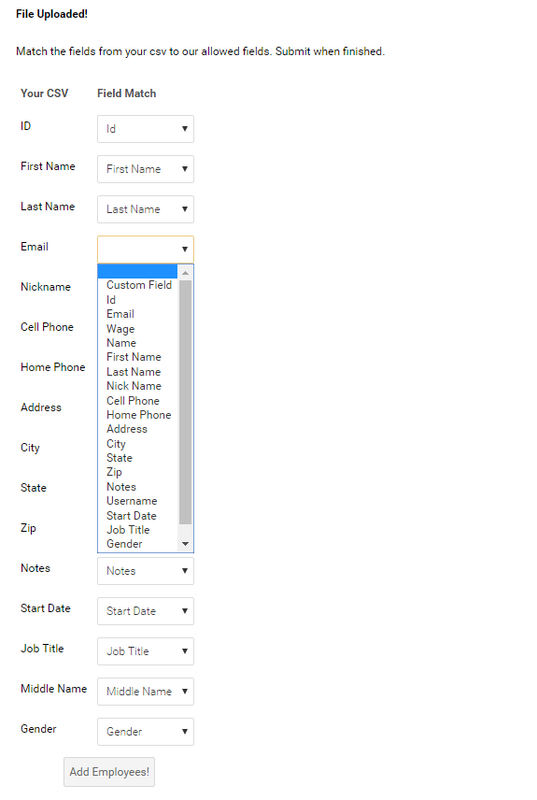 After you select the file and import, the application will match the fields. 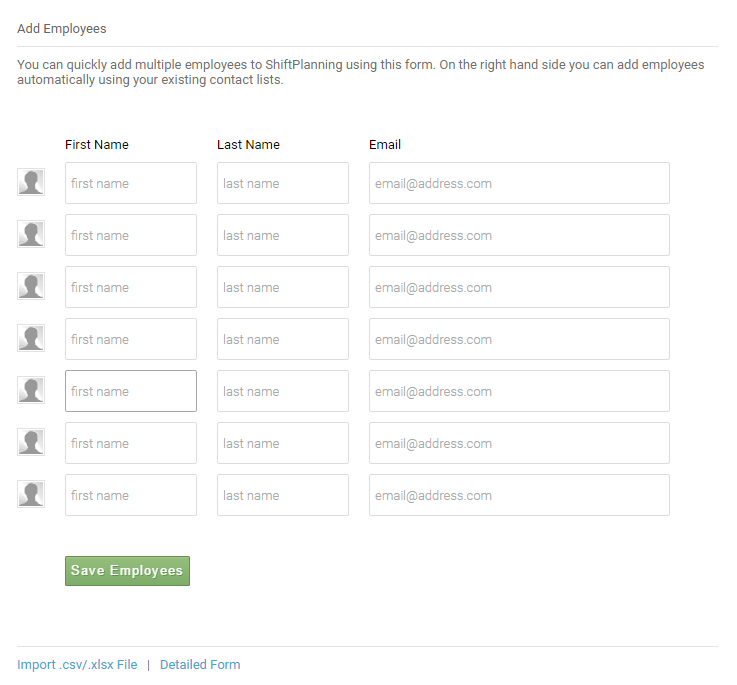 If the fields do not match, it will give you the option to manually match the fields and then click 'Add Employees'. Please feel free to let us know of any feedback by emailing support@humanity.com. Happy Scheduling!